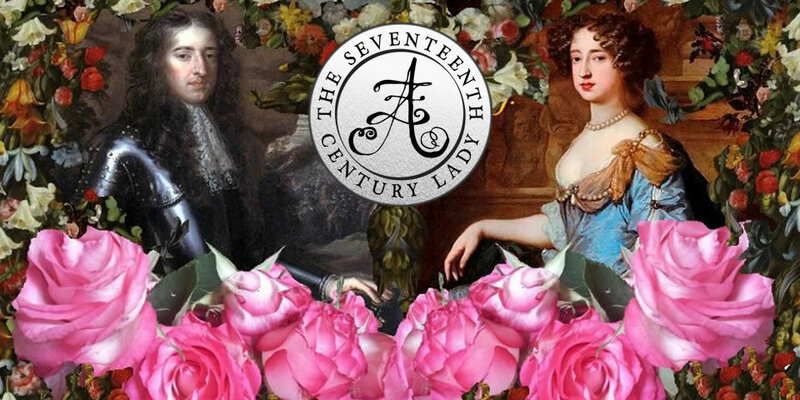 Recently there has been some excitement at the Ashmolean Museum in Oxford generated by the arrival of a splendid 17th century portrait by William Dobson, court painter to King Charles I. 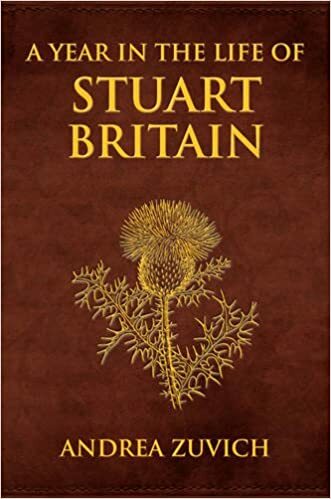 A dramatic work, it features three leading Royalist commanders including Prince Rupert of the Rhine and Colonel John Russell, commander of Rupert’s elite regiment of Bluecoats. The acquisition of the portrait by the museum was celebrated with a procession through the streets of Oxford and a re-enactment by the Earl of Manchester’s Regiment of Foote. But even when a picture has been as well-researched as this, questions remain. The precise year in which the picture was painted, the identity of one of the sitters and even the story that lies behind the portrait are all in dispute. 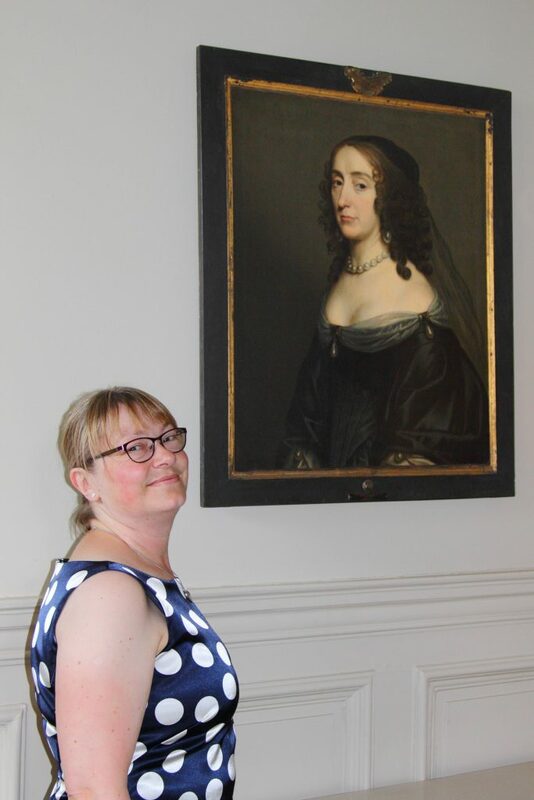 Curators at the museum maintain that the portrait was painted in Oxford in the winter of 1645-46 following the loss of Bristol by the Royalists in September 1645. Bristol had been besieged by Sir Thomas Fairfax, commander of the New Model Army and Prince Rupert, heavily outnumbered, surrendered on 10 September. 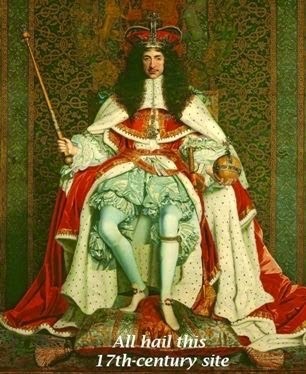 His uncle, Charles I, enraged that the Cavaliers had not put up more resistance, dismissed his nephew and his close followers, including Russell, from the royal service. 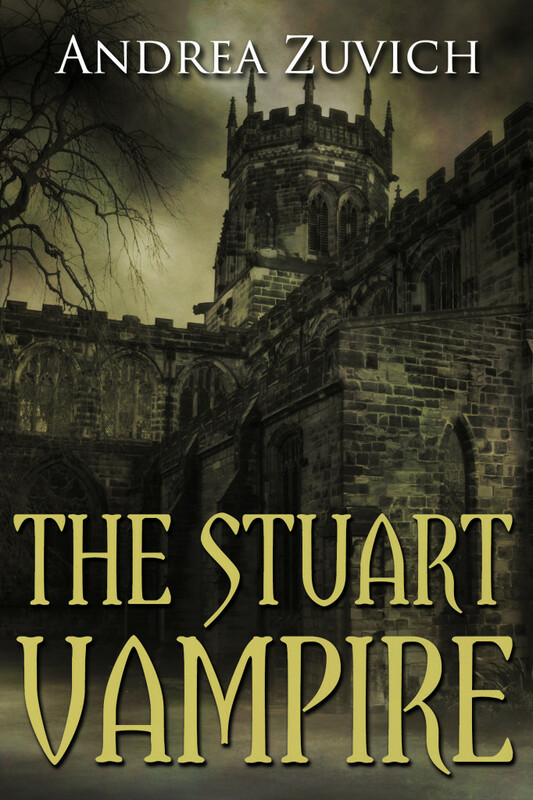 Determined to prove his loyalty, and accompanied by his brother Maurice and a handful of Cavaliers, Rupert rode across England, evading enemy troops, until he reached Newark, where he confronted the king and demanded a court-martial. He succeeded in clearing his name, and the document Rupert holds in his right hand in the picture may possibly be a copy of the king’s pardon. The painting is filled with symbols emphasising the sitters’ loyalty to the Royalist cause. The central figure is dipping a pink, grey and black cockade into a glass of wine. This cockade, with its combination of the royal colours (pink) and those of Prince Rupert (grey and black), is echoed in the colours of the drapery wrapped around the column on the right. Another cockade in the same colours sits beside Colonel Russell. The staining of the cockade is symbolic of the stain that has been done to the three men’s honour. The massive column standing between Murray and Russell is another symbol of loyalty and stability. 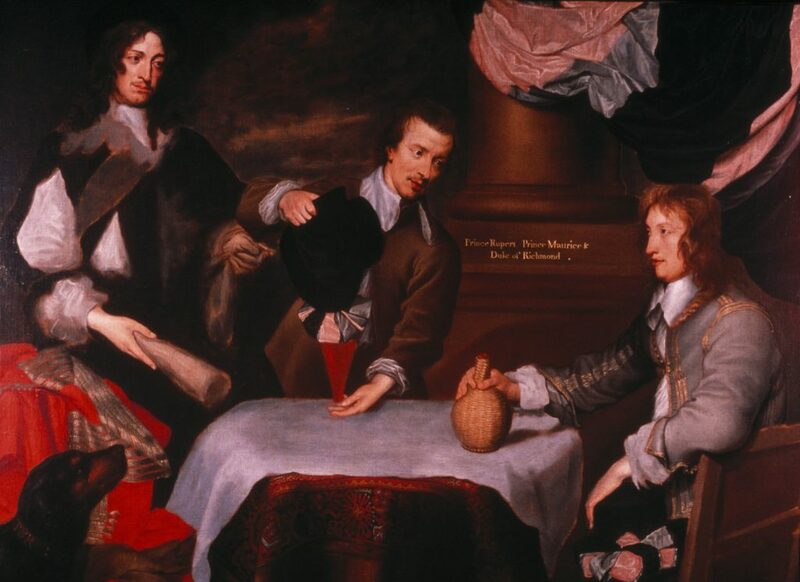 On the left, Rupert has discarded his scarlet cloak, which he is recorded as wearing when he rode out of Bristol after the surrender of the city. Beside the cloak stands a dog, symbol of loyalty, with the initials P.R. prominently displayed on his collar. This dog was the successor of the famous Boye, a white poodle which had accompanied his master into battle, where superstitious Roundheads accorded him satanic powers, dragging enemy cavalrymen from their saddles and catching bullets in his teeth. Boye, who was killed by a Roundhead sniper at the Battle of Marston Moor, was the first officially-recorded Army dog. The story behind the portrait is as splendid as the picture itself, particularly the derring-do associated with Rupert and his band of brothers riding hell for leather across country to demand justice and assert their loyalty. However, not all art historians agree on the interpretation. For a start, there is the identity of the man in the middle. Originally he was thought to be Colonel William Murray, one of Rupert’s commanders. The Ashmolean identified him as William Legge, Governor of Oxford during the latter part of the Civil War. One art historian, however, maintains that this is actually William Russell, brother of Colonel John, who changed sides during the Civil War, having started out as a Parliamentarian. He arrived in Oxford in 1643, joined Prince Rupert’s troop and fought at Gloucester and Newbury. This interpretation of the painting has it commissioned by John Russell to celebrate his brother seeing the light and joining the Royalist cause. William Russell’s commission is in Rupert’s hand and the two brothers are sharing a look of relief and pleasure at being on the same side (although William Russell changed sides again a few months later!). This would set the date of the portrait as 1643. The dispute is particularly interesting because it hangs on the difficulty of identifying individual sitters and also on interpreting the quality of the paint; it was known that William Dobson ran out of paint towards the end of his time in Oxford because supplies of all sorts were running low. There was no money to pay for any art materials and so the portraits he executed were thinner in quality. Meanwhile, as the heavyweights of the art world discuss this difference of opinion, a bigger mystery hangs thirty miles away at Ashdown House in Oxfordshire. 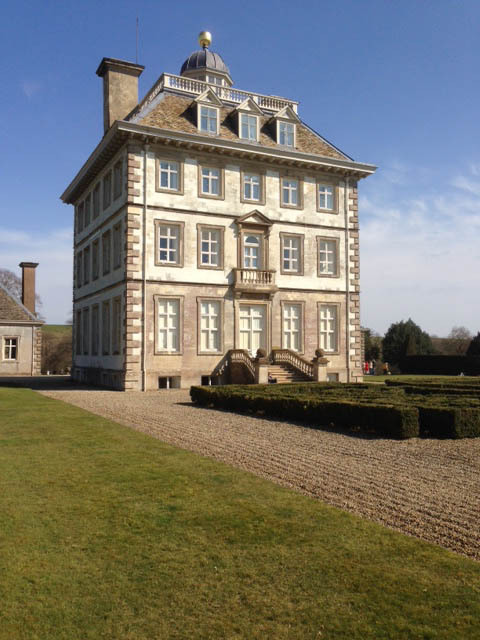 Ashdown, built by William, 1st Earl of Craven, Royalist, supporter of Elizabeth the Winter Queen and lifelong friend of her son Prince Rupert, houses a part of the portrait collection that once belonged to Elizabeth herself. Here there is an unfinished version of the Dobson painting. 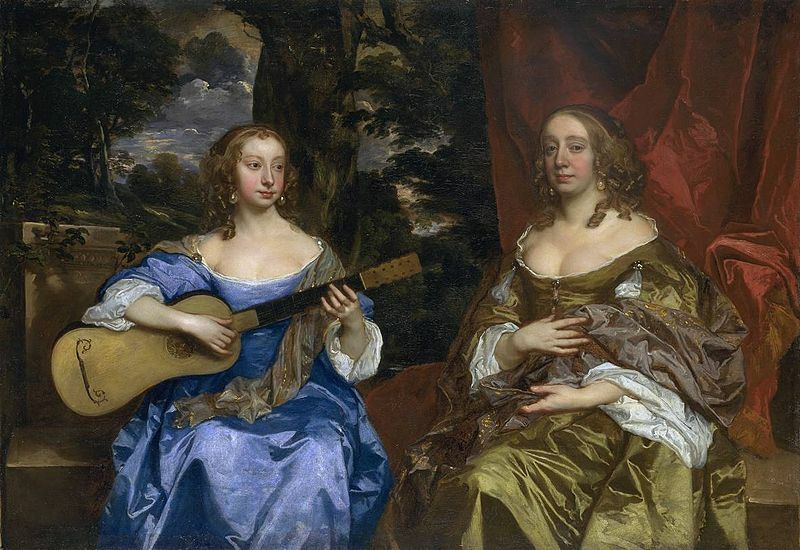 It was originally thought to have been a second portrait, painted by Dobson himself; in the case of triple portraits, a copy was often done for each of the sitters and this as thought to be Rupert’s one. However, doubt has been cast on the quality of the painting and the suspicion is that it might be a poor copy painted by a different artist completely. If that were the case it raises as many questions as it answers. Who painted the Ashdown version, why was it never finished and how did it come to be in the Winter Queen’s portrait collection? I love a good historical mystery and I’m going to carry on researching until I find out! 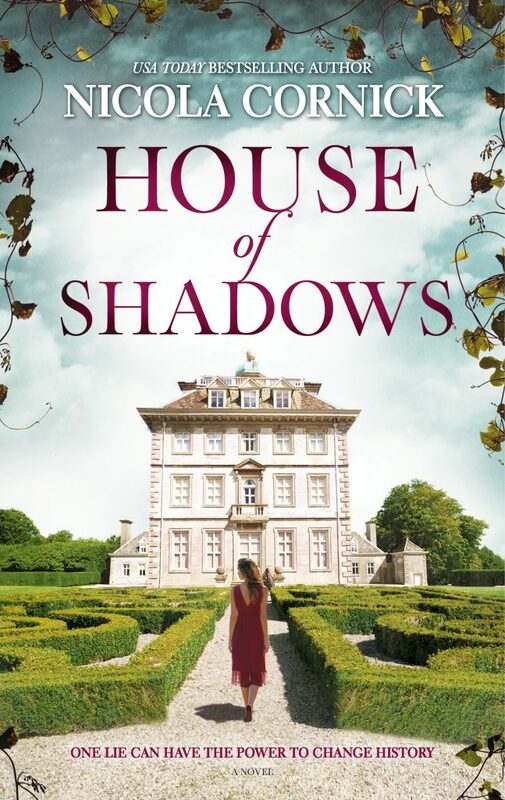 Nicola Cornick is the author of HOUSE OF SHADOWS (October 17, 2017; Graydon House), a time slip mystery-romance novel set at Ashdown House, where she serves as a tour guide. 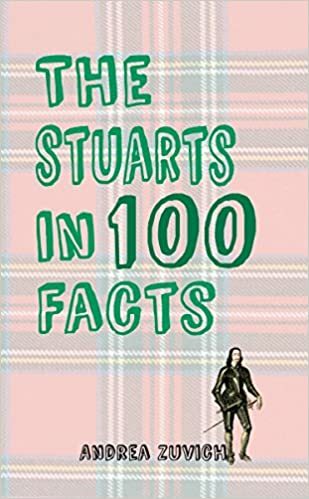 Nicola, who also acts as a historical advisor for television and radio, has an honours degree in Medieval History from London University and a Master’s Degree with distinction in Public History from Ruskin College. Her many novels, which are recognized for their historical research and well-observed characterization, have been translated into more than 40 languages. 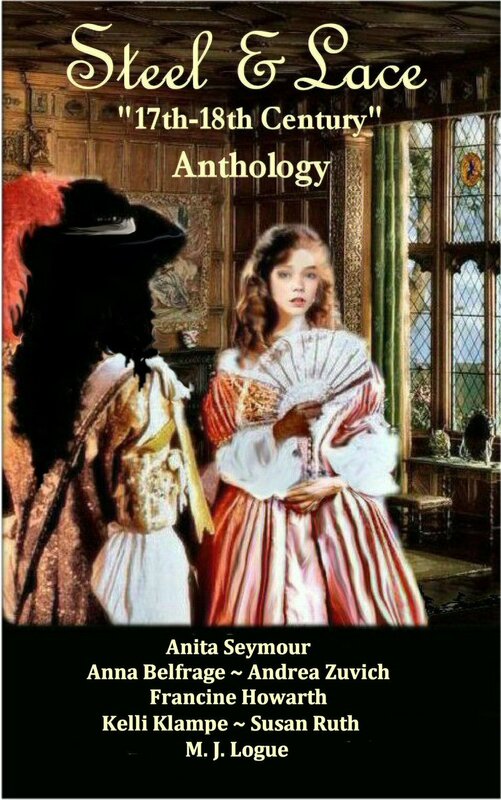 She has been Wiltshire Libraries Writer in Residence and has spoken at the Oxford Literary Festival on the history and development of the romance novel. Great post – can I ask one question? Why do you say Rupert’s colours are Grey and Black? Surely his family livery colours are Blue White Black? Just interested as the whole painting is fascinating and the colours reflect on some many other things.